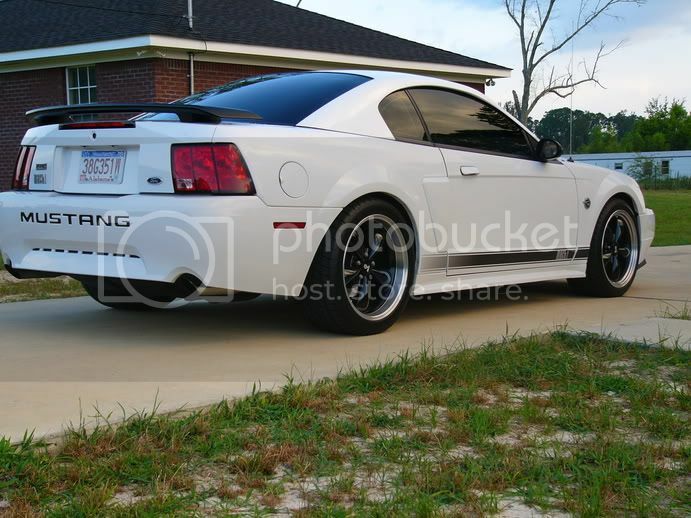 Stricknine, Adamdvs & Mach 1 Mania, How is it that some cars (like all of yours) abolutely nail their set up... Even if you're a traditionalist, you have to admit these cars work, very well put together, hats off to the lot of you! Last edited by New Mach; 01-19-2006 at 02:25 PM. I can get my pics to up load. What am I doing wrong. Last edited by JusMachN; 01-19-2006 at 12:56 AM. It's a sad day when the wife has decides which wheels you get. Let her pick the carpet, plates, wall color and drapes, you pick the wheels. Or do what I do, give her hush money, trust me it works... Can you say shopping spree? Here's mine. I can't wait for spring to get here! Stricnine, Adamdvs & Mach 1 Mania, How is it that some cars (like all of yours) abolutely nail their set up... Even if you're a traditionalist, you have to admit these car works, very well put together, hats off to the lot of you! 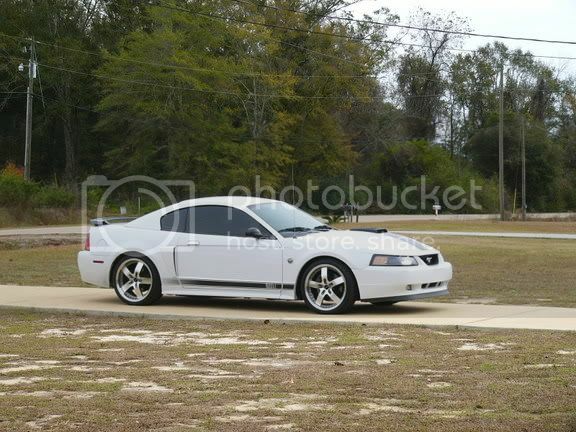 Stock rims, polished face/lip with gloss black interior powdercoating, clear powdercoat over the top. I just finished looking at all the pics on this one for about the 4 time there are some great looking cars on here. SFMach1 and Bincky you both have beautiful cars, Drenath nice custom touch to the stock wheels. 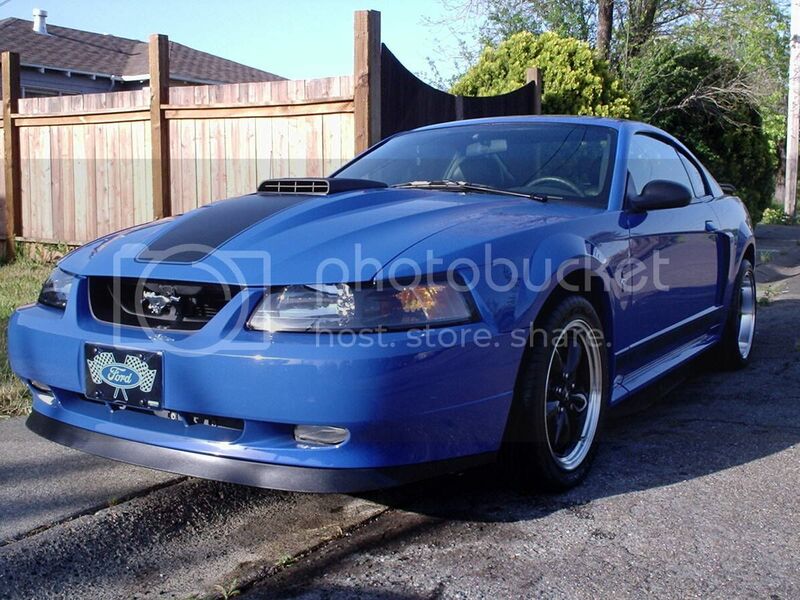 Now I have a request for an Azure Blue Mach with WheelVintiques Mag 500’s, because I am torn between those and 17x9/17x10.5 AFS Mac Black Mach1’s. :THUMBSUP: To all who posted on this one. "Can you hear me now?!?" New pic of my car and wheels. Works for me, I needed some drag radials so I took the wife jewelry shopping, I just ordered the tires. Should be heading to Tower Shops sometime soon. You're down that way right?? Yeah, I'm usually there with the SFS group. "Jewish people don't have to kill a cracker a certain way for it to be kosher"
Karma Energy, congrats on the new wheels. i have been considering the same set up for quite a while now. it the traction better when you launch and shift etc...? YES! finally found someone running torq thrust II's! Looks awesome. But correct me if im wrong, but i thought they wouldnt fit on machs or cobras because of front caliper size??? Ive heard that the 18's in this wheel clears the brakes, but not 17's... and these look like 17's right? So did you have to shave of grind anywhere?? "Life is a big, smoky burnout!"